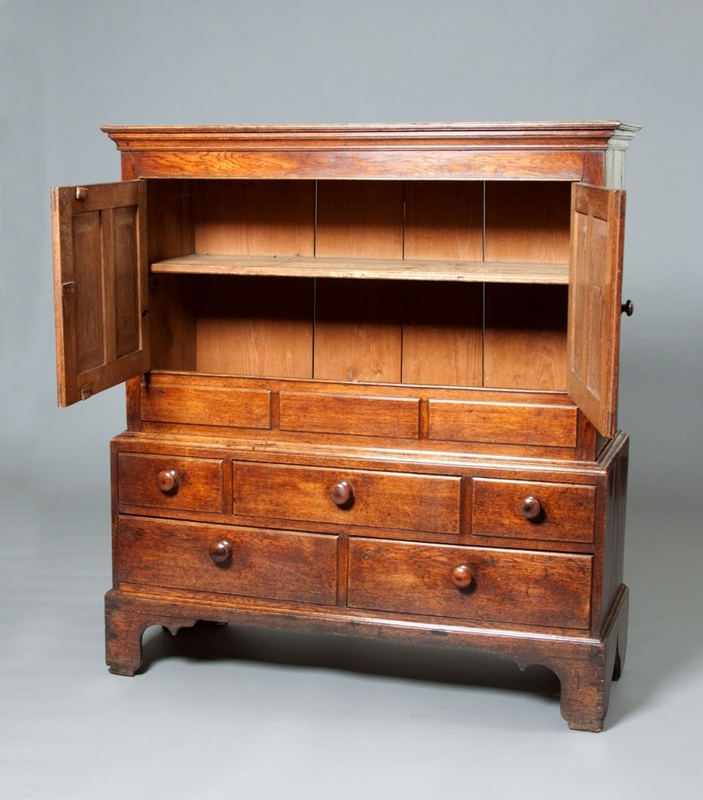 A small handsome Welsh linen press, that is made from oak and is in excellent condition and with good colour. 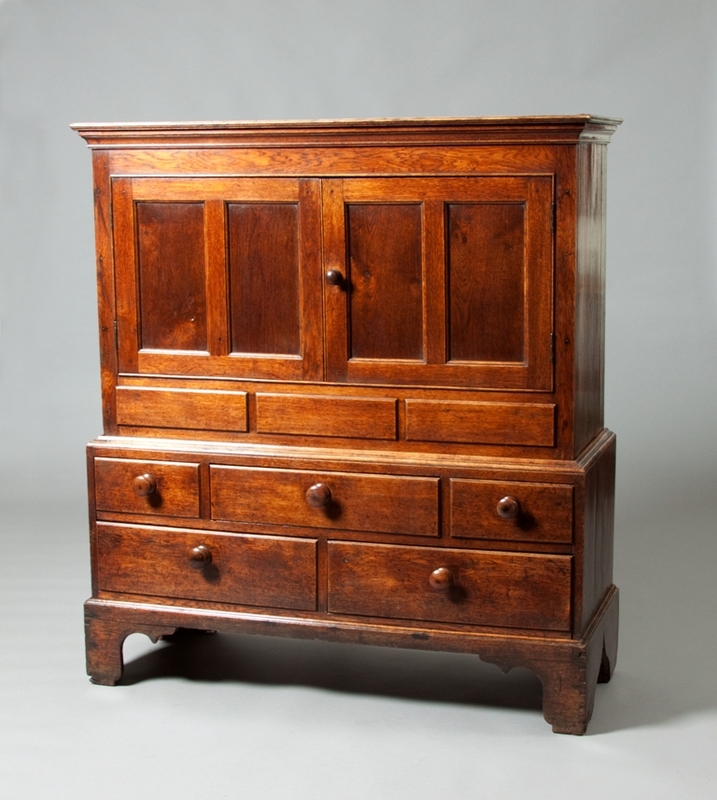 The top has two panelled doors which enclose a cupboard with a single shelf and the base has five drawers. 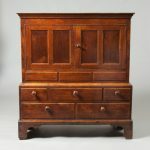 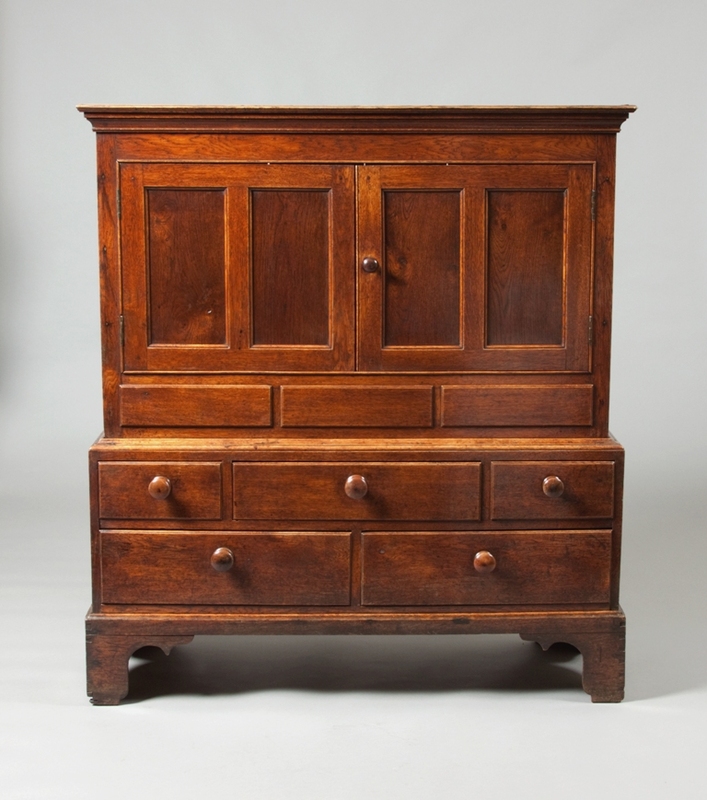 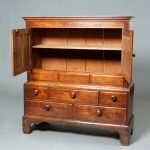 Small linen presses and cupboards were often found throughout West Wales, this example is particularly small and it comes in two sections.